When NFL teams add coaches to their staff at the midway point of the regular season, turmoil is usually a precursor of the move. Yet, here is an exception to that. While rehab for Reggie Wayne remains the top priority, the Pro Bowl receiver has added another title to his resume. 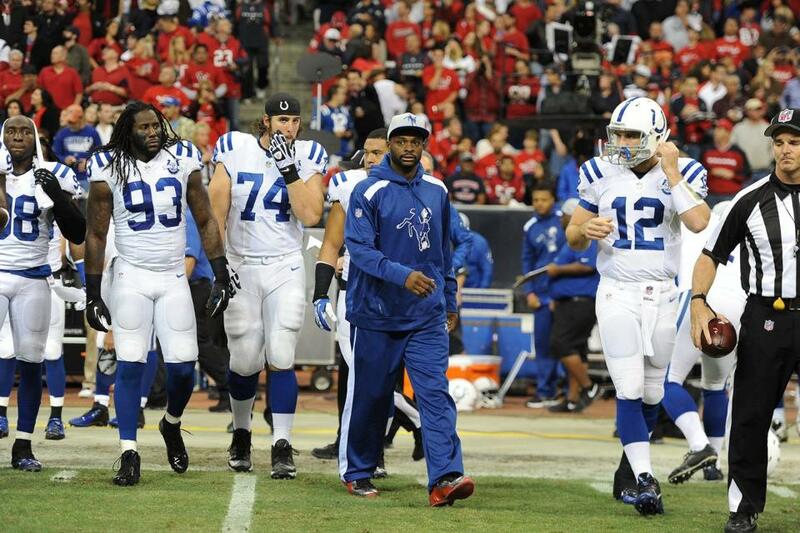 “He’s also got his duties now as assistant wide receivers coach,” head coach Chuck Pagano said on Wednesday. Wayne is spending his rehab at the Indiana Farm Bureau Football Center, something that the Pagano regime wanted to make happen with as many IR players as possible. Obviously the balance is difficult (need the “man power”) with rehab guys and the current players but Pagano loves having everyone around the building. “We want to keep them engaged because a lot of times they have this separation deal where they feel like they’re not part of it anymore. It’s great to have their presence,” Pagano says. Even though the competitive nature of Wayne on the field won’t be present for the rest of 2013, that spirit has transferred over to the training room. Outstanding idea to get have one of the best receivers and great reader of defensive lines to coach! What a great addition to the coaching staff and Reggie has done it all!! It’s the next-best thing to having him actually on the field! To bad other past IR players(Sanders) didn’t do this, seems they just sat at home taking in the money …. That is one of the reasons we love Reggie, he is not just a part of the team but the team is a part of him. Wow! That is just so awesome! I always knew Reggie was a great talent, team player and leader!Now he is helping coach our young receivers! Of course we miss him being on the field, but this is the next best thing!His experience is priceless! I am so proud to be a Colts fan!The sky is the limit for this team! What a great win in Houston! Thank you for the opportunity to send my appreciation! God Bless!